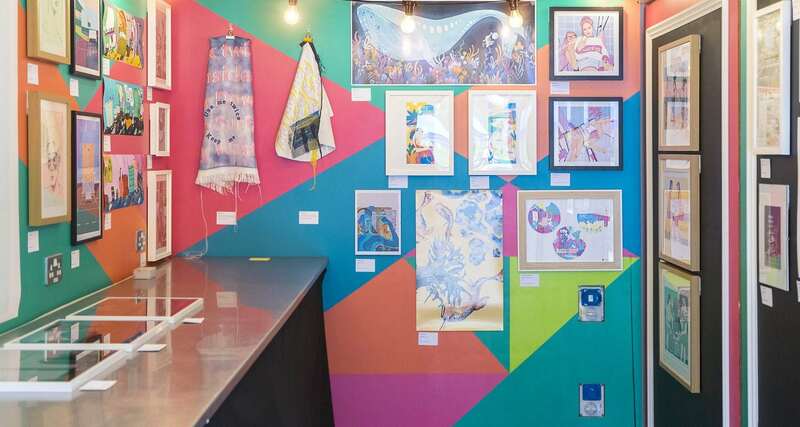 Lauren’s commitment to engaging all communities in the arts and increasing diversity in the creative workforce is evident already in her early career. Hailing from Doncaster, following graduation, Lauren worked on the town’s newly opened arts venue before becoming a Producing Intern on an Arts Council funded community project Right up Our Street working to engage adults in communities where arts engagement was far below the national average. Following the events, Lauren was asked to stay on as a Researcher and later contributed to a major evaluative report for the Arts Council. 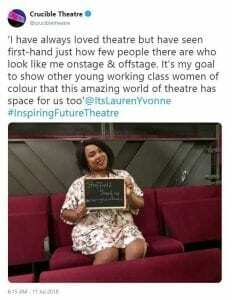 Currently working on the delivery of the artist development scheme and programming the studio space of the Sheffield Theatres, Lauren was also invited to be a core Committee Member of the Stage Sight initiative led by UK Theatre and supported by organisations such as National Theatre, the Young Vic, Sheffield Theatres, Bristol old Vic Theatre School, BECTU and more, seeking to increase diversity behind stage in creative and technical roles. Here Lauren works with other organisations and independent creatives to promote change within the theatre industry. About the importance of the course to her career Lauren says: “The course really laid the foundations for everything I have achieved in my career so far. This course gives you a well- rounded and fully stocked arsenal of skills that are transferable and applicable to all job opportunities”. To find out more about the BA (Hons) Creative Events Management course, see here.